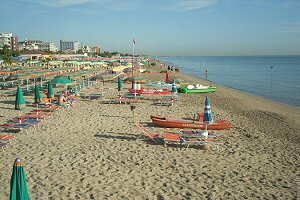 In the front row on the seafront in Alba Adriatica, renowned holiday resort of Abruzzo, the Empire Hotel will give you a dream vacation! 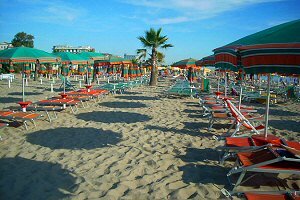 Accompanied by the magical atmosphere of the Adriatic Sea, you can enjoy all the magic of the summer sun. 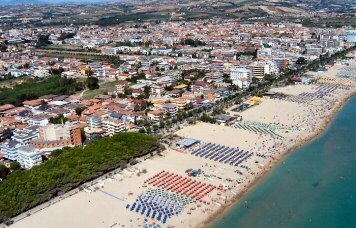 Situated in the north of the Abruzzo region, near the borders to the region Marche, Alba Adriatica is the most known seaside of the coast of northern Abruzzo. 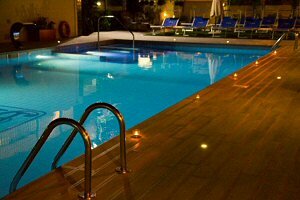 The Hotel is well frequented for its traditional friendly and refined atmosphere. 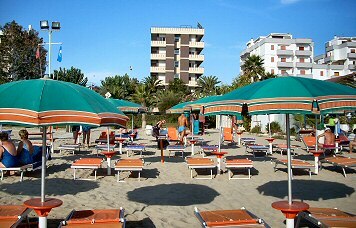 It is situated right beside the sea and surrounded by green. 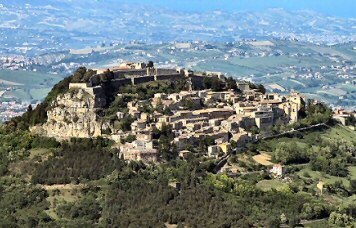 Abruzzo, with an eye toward the East Sea and the hinterland marked by the most beautiful mountains of the Apennines, offers tourists many opportunities of interest. 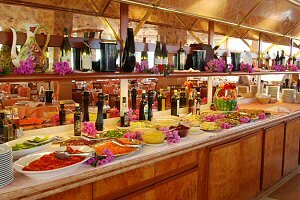 The hotel is situated on the sea-front in Alba Adriatica, at the cross-roads between the sea-front and Trieste street, one of the main street of the country, in the centre, very close to shops and services. 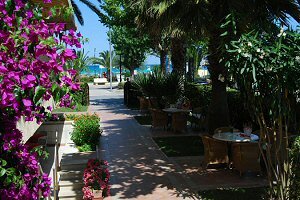 We rent summer apartments for 4-5 persons, spacious and modernly furnished about 150 m. and 350 m. from the sea, with 2 bedrooms, 2 bathrooms, kitchen with large living room, balcony and parking space. A small building with newly constructed apartments situated in a quiet area near the sea (ca 150 m. e 350 m.), modernly equipped with every comfort, two rooms, two bathrooms, lounge sitting-room-kitchen and balcony.